While gears are one of the oldest pieces of machinery known to mankind, they have almost always been made of metal, especially since the days of the Industrial Revolution. The eighteenth century witnessed a huge leap in metal gearing design and manufacture, as new machines were constantly being developed to keep up with the needs of mass production. Today, we are seeing another evolution (albeit on a smaller scale) in gear technology, as designers experiment and successfully develop gears in newer materials such as plastics, powder metal and bio-based substances. Plastic gears have been in use for nearly half a century, but were used mainly in applications of low power transmissions such as electrical assemblies, clocks and lawn sprinklers. 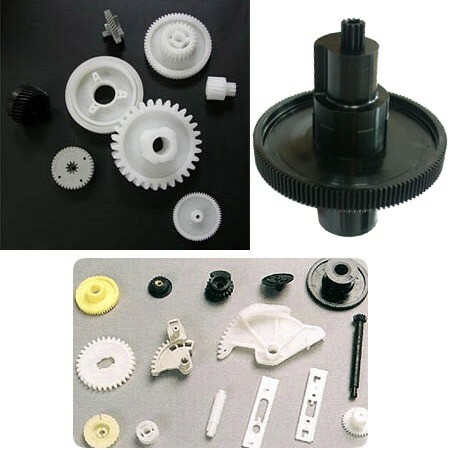 However, advances in molding and the development of new materials such as high-performance resins and long-fiber compounds have led to the exponential growth in the use of plastic gears in several areas hitherto confined to metal gears — from transmissions in washing machines, to valve actuators in fluid devices and other interior and exterior machinery components. Our company growth has been the strongest in the automobile industry, as competitive pressures have pushed OEM companies to use plastic in the place of metal in a bid to keep both weight and cost low, while improving fuel efficiency. Plastic accounts for about 50% of the total volume of today’s cars, but just 10% of the total weight. There are several advantages of dedicated plastic gear supplier, especially in areas where sound and cost reduction are major factors. These plastic injection parts are up to three times quieter than metal ones, due to the former’s excellent noise dampening properties. In addition, injection molded plastic gears can be produced quickly using a single mold, and usually do not require secondary finishing, making them cost-effective. Injection molding also allows designers to develop tricky shapes such as internal gearing, cluster gearing and worms, that are difficult to make economically in metal. The inert property of plastic makes such gearing suitable for many water- and/or chemical-based applications, where metal gears would quickly corrode. Plastic’s inherent lubricity also makes such parts useful in sensitive applications such as semi-conductor manufacturing, food processing, and pharmaceuticals, where oil and other lubricants could contaminate the final product. In some cases, the perceived disadvantages of plastic can in reality be an advantage. 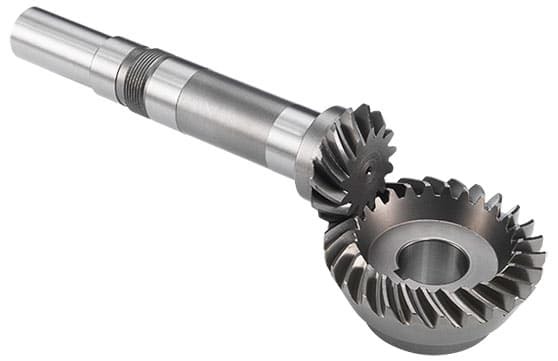 For instance, the inherent flexibility of plastic results in significant load sharing between gear teeth when running the machine; this is why plastic gearing often perform better than expected. 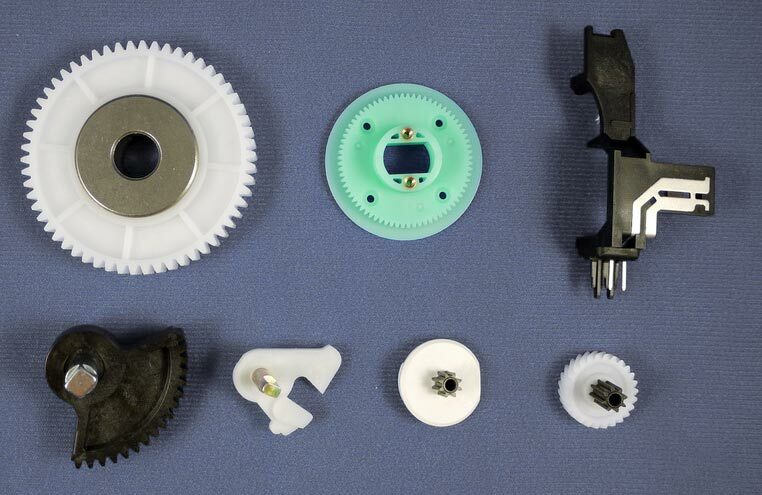 Plastic gears are increasingly being used to transmit not just motion but power as well. While earlier spur gears were the main kind of plastic gears, today almost all kinds of gearing such as cylindrical worm, helical and ring and pinion gears are being made. Get in touch with AmTech International today for your plastic gear manufacturer needs.